Abbie is one of our new discoveries and currently working up her skills as an apprentice Stylist. Her fresh, friendly and breezy approach ensures her blow-drys are in great demand and her Rock n Roll style will help you get ready to kick down the doors on that new look you’re seeking. 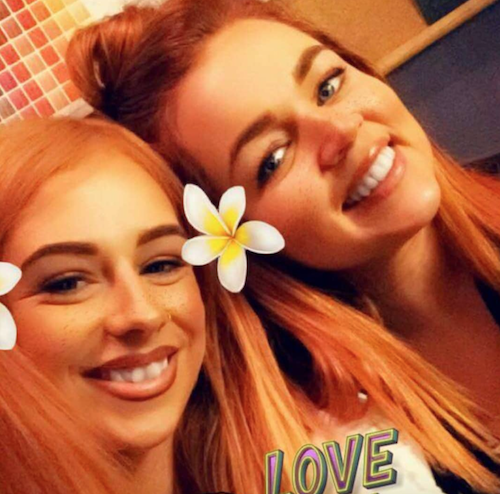 “Hello I’m Abbie, I’m currently doing my hairdressing apprenticeship here at Cowboys & Angels and I absolutely love hairdressing. Ever since I saw my Mam doing it as I was growing up I knew it was something I definitely wanted to do. I’m really passionate about hair and new ideas, I love learning and meeting new people every day".